This statue is the perfect housewarming gift! 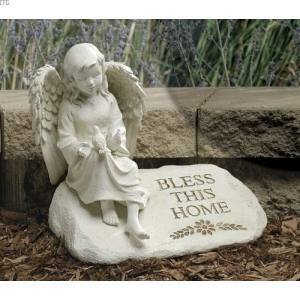 Featuring a gentle angel sitting atop a stone engraved with the words "Bless This Home," this statue is the perfect gift for a new home buyer. This is a great way to wish protection and blessing upon a particular loved one!